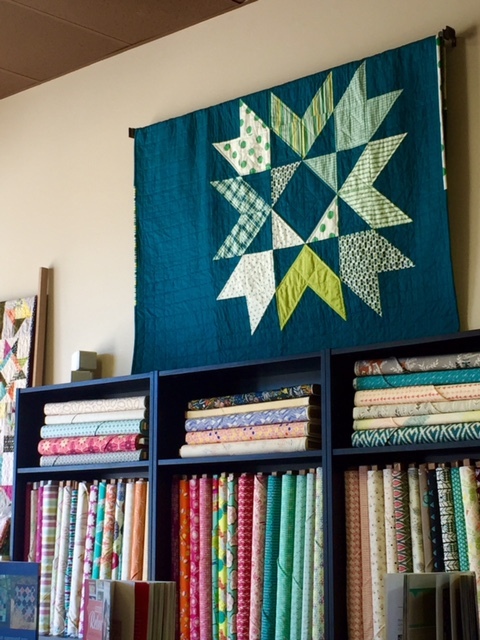 To kickoff our participation in the 2016 Row-By-Row experience, the nationwide shop hop and quilt challenge beginning June 21, Needle in a Fabric Stash is proud to announce our use of all Art Gallery Fabrics in our row. We are ready to start celebrating with the first Art Gallery giveaway of the summer on Instagram! We are giving away a fat quarter bundle of Art Gallery’s Boardwalk Delight by Dana Willard. This delicious 12-piece bundle is curated and donated by Sue, owner of Needle in a Fabric Stash. Follow Needle in a Fabric Stash (@needleinafabricstash) and Art Gallery Fabrics (@artgalleryfabrics) on Instagram and carefully follow the instructions on our Boardwalk Delight Giveaway Instagram post to qualify for your chance to win. The Boardwalk Delight Giveaway will run June 19 through June 30. A winner will be selected randomly and announced July 1st. If you haven’t seen it already, check out our last blog post here for the details on Row-By-Row and our unique 2016 “Home Sweet Home” row crafted exclusively with Art Gallery Prints. And for some great ideas on how to use Art Gallery Fabrics be sure to check out their blog…it’s fantastic! 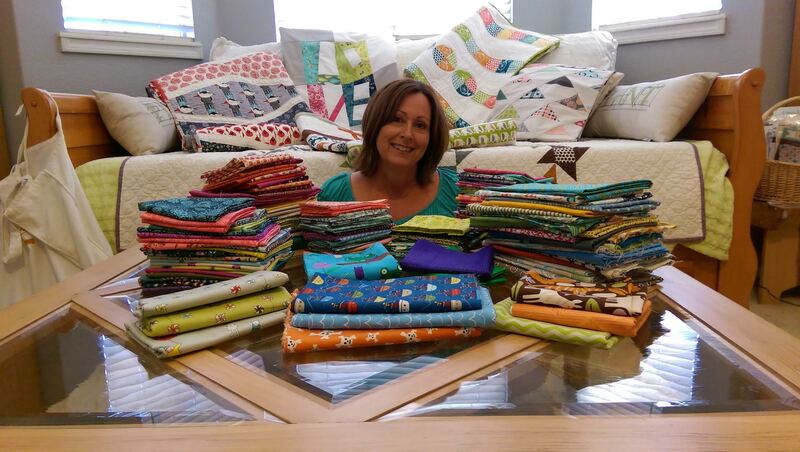 We are proud to announce that for the second year in a row Needle in a Fabric Stash will be participating in the Row-By-Row Experience. 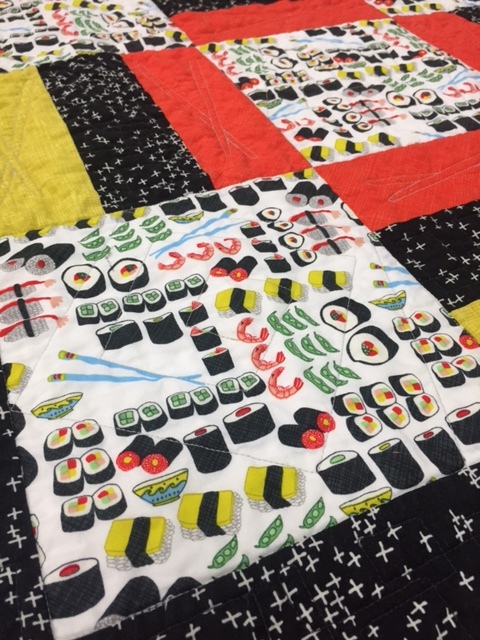 If you aren’t familiar with Row-By-Row, it is a chance for the larger quilting community to bind together every summer through a “shop hop.” Starting June 21 through Sept. 6, quilters from all over the country and Canada can visit participating stores and receive a complementary unique 9.5″ by 36.5″ row pattern for their quilt. In addition, stores will sell one-of-a-kind fabric kits designed especially for the row and ours is perfect for those who want to add to their modern fabric stash. However, no patterns or kits will be available online for purchase until the challenge is over. Each store will award 25 fat quarters to the first customer who presents a finished quilt and a special prize if they also use the store’s row pattern. Be sure to check out the exact details here to see how you can qualify to win the challenge. The theme this year is “Home Sweet Home”. For Needle in a Fabric Stash’s 2016 row, we strictly used Art Gallery Fabrics, proving to be absolutely perfect for this theme! Happy Home by Caroline Hulse was the centerpiece, sparking inspiration for the entire piece. Additional colors and designs were curated into our 2016 row including Chalk and Paint by Caroline Hulse, Paperie by Amy Sinibaldi, Essentials II by Pat Bravo and Squared Elements by AGF Studio. Striking, vibrant and modern, we are thrilled at how the heart block turned out! Shop all of our Art Gallery Prints on our online shop. Most importantly, we want you to celebrate our use of Art Gallery’s beautiful fabrics with us. So, throughout the summer look for several Art Gallery giveaways by Needle in a Fabric Stash by following us on our Blog, Instagram, Facebook and Art Gallery’s blog! The first giveaway is on June 20 and will be posted on our Instagram. Summer is here, so bring on the sunshine, bright fabrics, good times and let’s get sewing. Hello and welcome to the Coastline Blog Tour! I sat down to meet with an Art Gallery representative for the first time back in 2014. It was the second fabric order I had ever placed for Needle in a Fabric Stash. We sat in the shop for hours. I went home that night and when my husband asked how it went I said, “I saw the most beautiful fabric today and I cannot wait to sew with it.” Since then, my love of Art Gallery fabrics continues to grow and it is apparent through our expanding inventory in the store. You can only imagine my excitement when Art Gallery designer, Sharon Holland invited me to join the Coastline Blog Tour. It is a privilege to create and share all of the fun ways I have enjoyed using her fabric designs in my shop and in my life. I want to thank Sharon for the wonderful opportunity to collaborate! Two projects were inspired using Sharon’s Coastline fabrics. The Beachcomber Quilt and Noodlehead’s Bucket Bag from Anna Graham’s Handmade Style Book. Creating the Beachcomber quilt was a special experience for me. I have been patiently waiting for the perfect fabric collection to pair with an existing quilt pattern on display in the store. Customers have been begging me for the pattern. It was love at first sight. I instantly envisioned the diverse and colorful fabric line full of beach and ocean themes fitting perfectly with the unique pattern. From the Coastline Collection I selected seven prints for the panels, using the Beachcomber Tide as my focus print. I especially love the little sandpipers. The Netting Twine is also one of my favorites. I used it for the binding because I think the khaki Hawaiian vibe ties all the incredible prints and striking colors together so well. The other prints include: Sailcloth Quietude, Conchology Dune, Buoyant Vista, Trade Winds Harbor and Sand Bar Lagoon. Natalie Pollard at Pro-Stitched Quilts and I worked together to pick a customized design for the quilting of each separate panel. The meandering water on the Sailcloth Quietude print takes me right aboard one of the sailboats for a nice day in the water at Balboa Island, CA, where my husband and I used to sail as newlyweds. There was no stopping here. When I saw the Sand Bar in Canvas, I couldn’t resist the urge to use it for the Bucket Bag Pattern published in the Handmade Style Pattern Book. What more do you need for the beach besides a beachy quilt and an oversized canvas bag? Every step of constructing this bag was fun. The Trade Winds Harbor print made a perfect base and I used a blue woven from the store for the straps. This directly navigates the eye to Sharon’s beautiful designs. The blue metal zippers are a perfect pop on the canvas. The stopper, created from the Trade Winds Harbor print paired with a tan leather strap, just pulled the whole look together. A local sewist and friend, Alexis Wright is also participating in this blog tour and we were excited for the opportunity to share our blog day. We planned a beach trip to La Jolla, CA and spent the day playing in the high tide and taking lots of photos. It has been such a treat to get to know Alexis better, share ideas, work on matching prints together and sharing sneak peeks with each other along the way. Alexis’ dresses and shirts designs are one-of-a-kind pieces that she so beautifully captures with her captivating photography. The Beachcomber Quilt Pattern and Quilt Top Kit, as well as the Bucket Bag Kit are offered as Needle in a Fabric Stash exclusives in the store, online and also at QuiltCon West beginning on Feb. 18th. 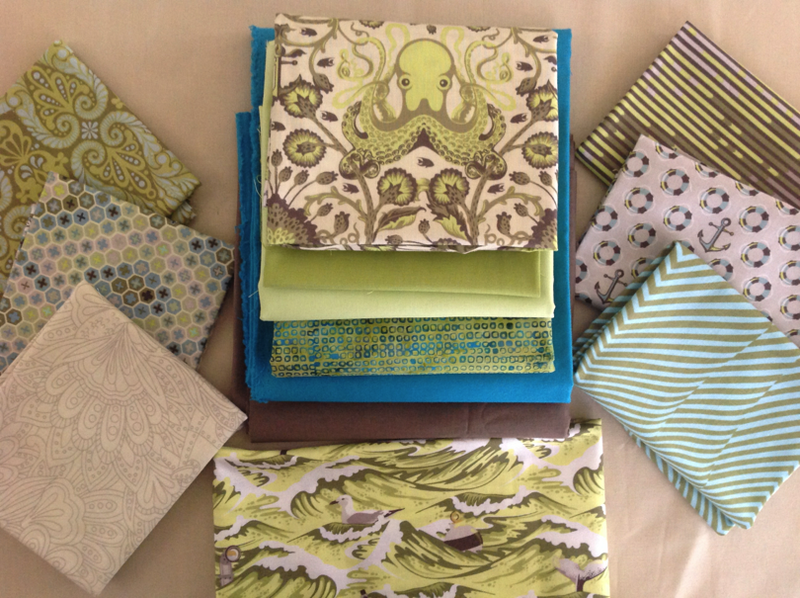 It is amazing to see so many projects come to life with Sharon’s Coastlines fabrics. All of the prints mix and match so well. I hope we have inspired you to use these beach themed fabrics for your own quilt, tote bag and garment projects. Be sure to check out all of the talented people on this blog tour including Raedene Averitt who showcased her project on Friday, Feb. 5. And Jennifer DeShazer who will be the next on tour tomorrow, Feb. 9. You can visit Sharon’s blog for more details about other fabulous makers on this tour and how to win her giveaway of a Coastline Fabric Bundle…good luck! A Stitch in Time…brings exciting news and a busy summer! Let me start this post by saying I’m sew sorry for leaving all of you hanging by a thread since my last post all the way back in November (pun intended). In the past nine months, Needle in a Fabric Stash has experianced immense growth in many forms. Although it is delayed, I have great news for the sewers, quilters and fabric lovers alike. We are happy to announce that our bright and modern fabric inventory has continued to expand. In the process we have filled even more shelves and of course displayed new samples in the store. If you find yourself itching to start a project or longing to add to your stash, stop by the store and browse our new fabrics, patterns and projects! There is no better way to be inspired than right here surrounded by fun fabric and friendly people. If summer has you on the move with the kids, busy with work or spending time with friends, don’t worry there is still time for fabric. No matter where life takes you, Needle in a Fabric Stash now offers online shopping where you can browse and purchase most of our products from anywhere in the world. Yes it’s true, after many hours spent on the computer (and the iPad and the iPhone) we do realize the age of technology is upon us. In the midst of this addition, our number one priority remains to meet the needs of our passionate shoppers! In other cyber news, Needle in a Fabric Stash is now on Instagram. So grab your smart phone, follow us @needleinafabricstash and don’t hesitate to double-tap! (In Instagram language that means “like” our photos). Why should you follow us? New classes, projects and collections will be posted. Even more importantly, we will be posting give-aways and contests for FREE fabric. Also make sure to check out our Website, Facebook and Pinterest! (yeah, we’re pretty much everywhere). The best part about Thanksgiving is the opportunity to relax with your family and be reminded of who inspires us to follow our dreams and never look back. It becomes clear that these moments are even more important when both of your kids are juniors and seniors in college and make the decision to fight the holiday traffic down from school in order to cherish these rare opportunities. 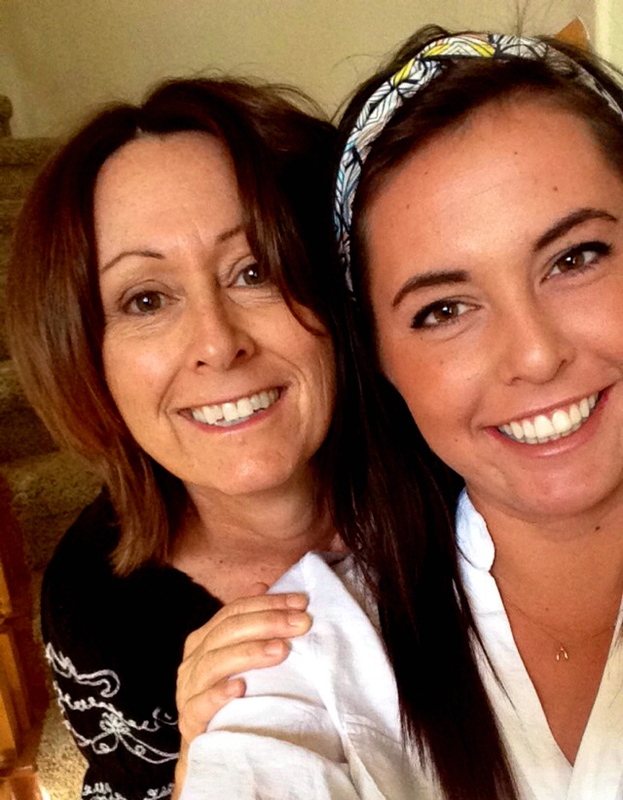 This post is actually coming straight from the blog creator herself, Sue’s daughter Hannah. For the average college student, waking up early on a Saturday morning to work at the new family store sounds a bit rough (or at least it did to me when I agreed to it). However, I write this post while sitting in the shop this morning, listening to my mom teach her beginner sewing class. Now, keep in mind that my mom has been teaching her entire life. In the first 10 years of my life my mom taught me how to solve math problems, how to play tennis and of course how to sew. All three of these passions are running themes within our family and as you can see they continue to shape all four of our lives in unbelievable ways. I think that we all knew that this Thanksgiving was going to be a little bit different than the rest because even though there are only four of us, we are all running in different directions with our heads cut off. To start with our holidays are never extravagant. To give you an idea, I’m pretty positive that for the past four years I have worn sweat pants to every Thanksgiving and Christmas dinner and never waver from the plan of lying on around on the couch for most of the day. But the highlight of this Thanksgiving was not the couch or the mashed potatoes. As I sit here in the store listening to my mom and dad utilizing their endless amount of practical skills to start up this business so quickly and what appears to be seamlessly (pun intended), I know in my heart that through this venture they have taught me that anything is possible. Whether you are labeled a quilter, a sewer, a journalist, an engineer, an asparagus breeder, an entrepreneur, an athlete or a teacher you will never just be one thing in this life. Thank you mom, dad and Sean for helping me make it alive to my senior year of college and giving me the motivation to make everyday better than the next. Everyday is Thanksgiving, Happy Holidays from Needle in a Fabric Stash and the Stone Family. As I sat down to start this project I began to pull from my own stash as I anxiously await for the fabric to arrive for the Grand Opening. It is important for beginners to challenge themselves to choose and coordinate their own fabric. Sewing is all about expressing who you are. Today was a day of inspiration! I was working on another sewing sample and found myself daydreaming while listening to Fleetwood Mac and Cat Stevens. Instantly, I traveled back to my high school days spent on Cherry Street Beach in Carlsbad and Moonlight Beach in Encinitas. I just love how a song, or a smell, or certain type of weather can make memories come alive. I gathered up Tula Pink’s Seaweed Colorway out of Salt Water by and began to create. I cannot wait to see what others taking the class will choose for their fabrics upon their moment of inspiration. 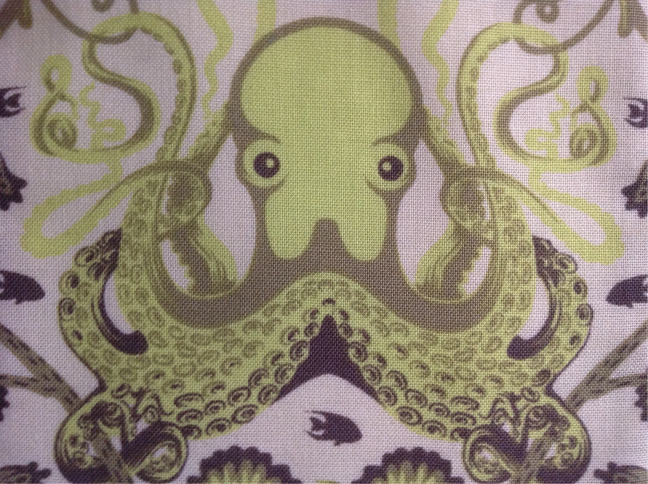 Everything will be centered around this guy…he is the theme! First, I added in coordinating prints and solids. 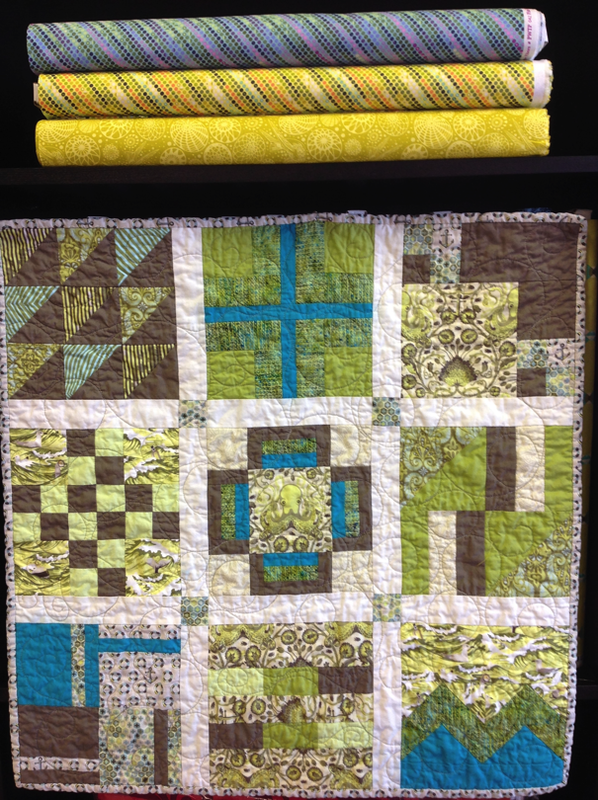 Then, I reviewed through some of the more basic blocks in City Sample/100 Modern Quilt Blocks by Tula Pink. I have found this book to be very helpful and it will be available to purchase in my shop. 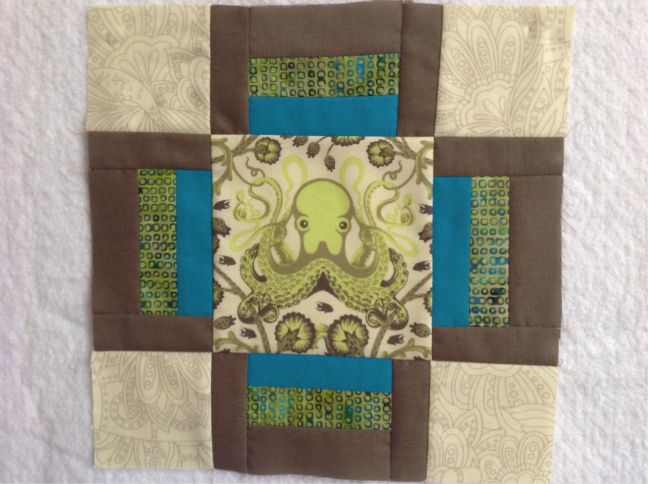 I started with the octopus as the center block. This block requires a fussy cut – that is planning and cutting a piece of fabric in a way to highlight the art on the fabric. Notice the splash of bright solid and a little geometric print added in with the Salt Water collection. I like to put my own signature on a collection of fabric by utilizing my fabric stash and adding in a surprise or two if I can! What are rules if they weren’t meant to be broken? Skipping to the end result…here it is! I hope you will have as much fun as I did when you take the class at Needle in a Fabric Stash and discover what sparks your creativity! 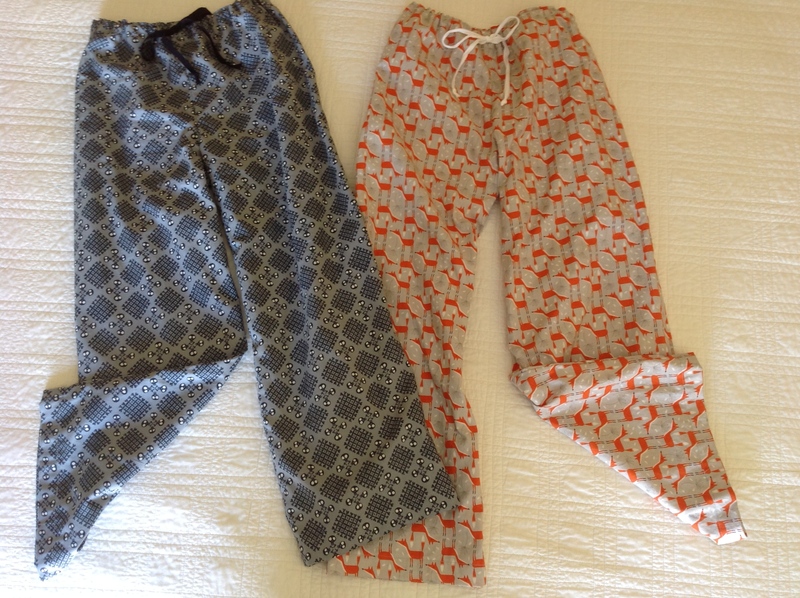 These comfy cotton cozy pants or capris are not your grandma’s pajama pants! Wear them around the house, playing with the kids, out to coffee, or even as scrubs! Let’s face it they are just plain fun for all ages. Sign up in 26 days – yes, we are anxiously counting down – November 8 at the Grand Opening for the Friday Night Jams Classes at Needle in a Fabric Stash! You can choose and purchase your favorite prints to create your own masterpiece. In the meantime, go grab a pattern for the class from your local craft store, if you don’t already have one. 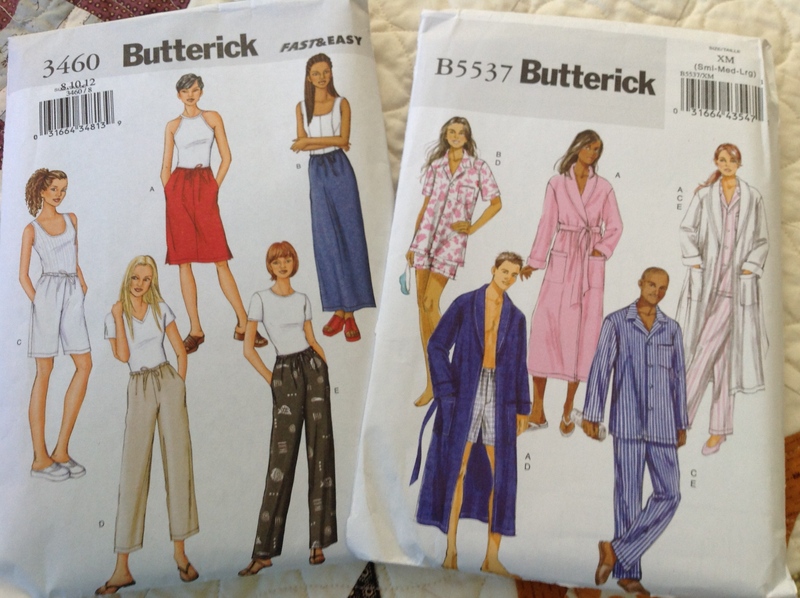 These are two of my favorites from Butterick. And please don’t hesitate to contact me if you have any further questions regarding the class! If I can sew, sew can you! I want to take this chance to welcome the fabric lovers, the quilters, the sewers and the curious of all ages and levels. Needle in a Fabric Stash store and blog has transformed from a vision to a reality and this could not have been done without the overwhelming support and enthusiasm from people just like yourself. Take a moment to check out the About Page, where you can learn more about my passion for sewing. You will quickly discover that this is not your Grandma’s fabric shop! Needle in a Fabric Stash’s blog and store will be filled with fun, bright and trendy fabrics and sew and quilt classes for all levels to provide you with an unbeatable experience. 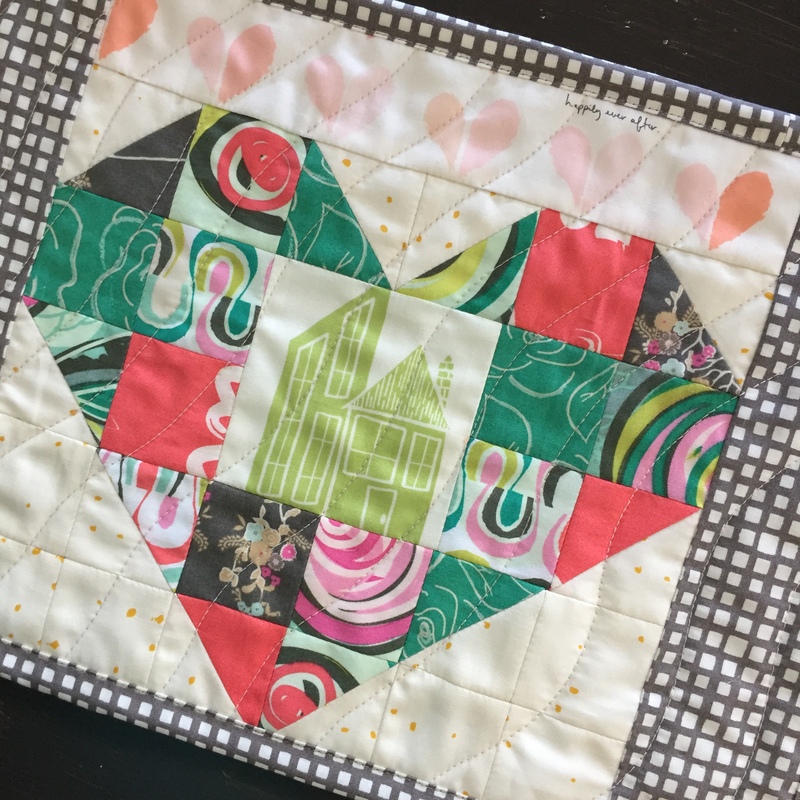 Follow Needle in a Fabric Stash and visit the blog for sneak peeks into sewing and quilting classes of all levels, featured items, kit/block of the months, how-to’s, patterns and more!